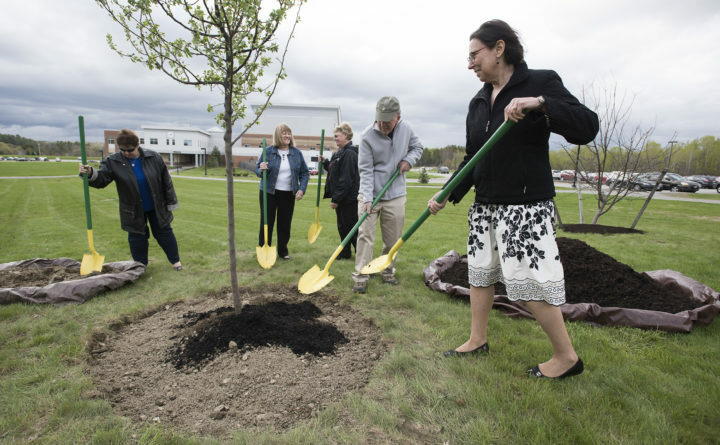 BANGOR — Husson University announced May 1 that it would be honoring recent retirees with a tree planting ceremony on Thursday, May 3, 2018 at 3 p.m. on its Bangor campus. The tree will be planted in recognition of five individuals with more than 10 years of service who helped make this remarkable institution of higher learning a success. With more than 25 years of service, Steve Egland will also be receiving a wooden chair from Husson in honor of his many contributions to the University. Celebrants are being asked to gather in Peabody Hall’s Campus Center at 3 p.m. on Thursday, May 3, prior to moving outdoors for the tree planting. The tree to be planted this year is a flowering crabapple. Refreshments will be served in the Campus Center at the conclusion of the ceremony.